Yet another instance where judgmental, stuck in her ways Kayla was missing out on a seriously awesome brand. For ages I just assumed the Elizabeth Arden was a brand for the older crowd with outdated products and lackluster quality. Boy was I an idiot. Their lipsticks are really what made me change my tune. The Beautiful Color Moisturizing Lipsticks are exactly what the name suggests. 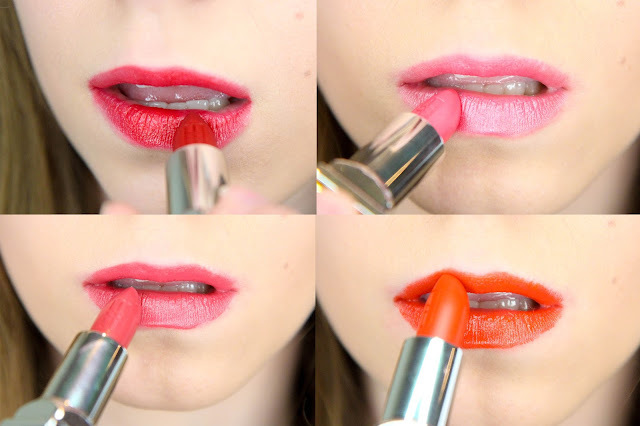 They're incredibly pigmented, have a buttery consistency, and aren't drying on the lips. The packaging alone had me running up to Alex just to show him just so someone else could experience the beauty. The product is elegant, well thought out, and definitely not dated. So let's round the gang up. "Valentine" (top left) is a cross between a berry and a red that I find works best when dabbed on the lips for a more everyday look. It's incredibly full-on when applied normally and would be awesome for a formal event or a night on the town. At first I thought "Pink Pink" (top right) was just too pink, but it's actually quite flattering on the lips without washing me out. My favorite of course is "Wildberry" (bottom left) since it's the closest to my beloved mauve shades. Yet I find "Marigold" (bottom right) incredibly unique and super fun to wear. It's my most complimented lipstick of the bunch and isn't too orange or over the top. All the lipsticks fade beautifully and end up looking like a stain on the lips if not reapplied after about four hours. 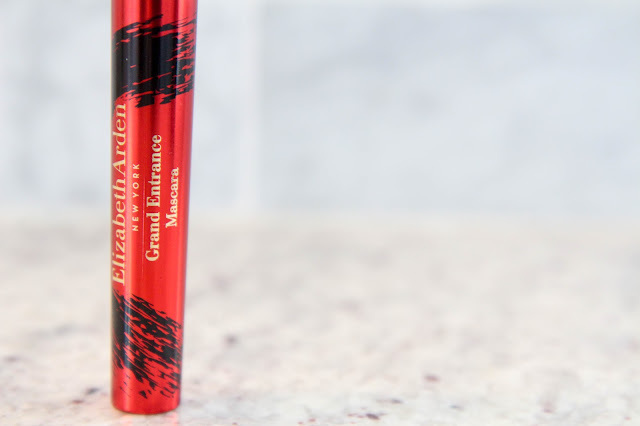 I've also used Elizabeth Arden's Grand Entrance Mascara for a few weeks and find it incredibly similar to a lot of lengthening mascaras from the drugstore. It reminds me a lot of the Maybelline Lash Sensational mascara as they both do a great job at separating the lashes and adding length. It's definitely not terrible in the volume department, but I tend to like my lashes as fake lash looking as possible without actually wearing fake lashes. I've been pairing it with Maybelline's The Rocket Volum' Express and loving the results. As a way to make amends for my foolish judgement of a brand I'm now obsessed with, I'll be giving away three lipsticks ("Wildberry," "Pink Pink," and "Marigold" and a Grand Entrance Mascara! The giveaway is open internationally to everyone over 18 or with parental consent! Boy was I wrong about Elizabeth Arden. They products are amazingly high quality and rival some of my favorite brands with ease. Their prices are comparable but that packaging makes you feel like you're getting more for your money. I'll definitely find a reason to pull out my lipstick in public just to show it off. 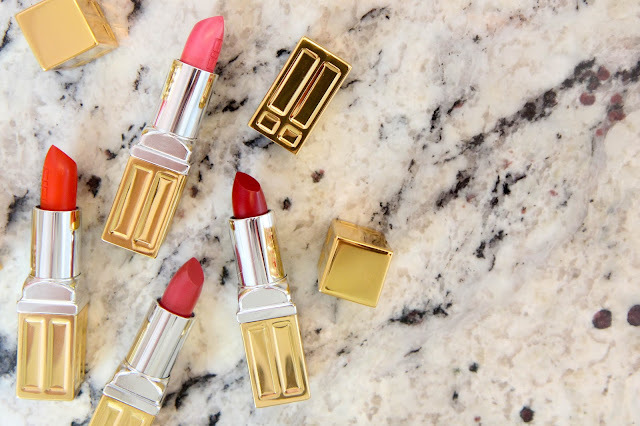 Have you tried Elizabeth Arden before?